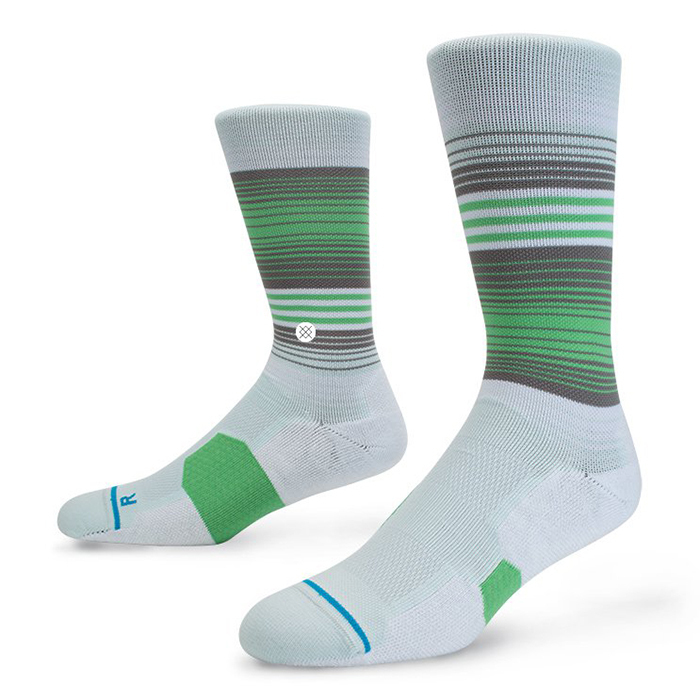 Show your fancy footwork like your favorite golfer Bubba Watson in the Stance Degree High Sock! The coursework for Stance's Degree revolves around the green. To keep feet cool and dry, this Fusion Golf sock sports Quik Wick fabric and mesh vents. Anatomically correct designs for the left and right foot offer an unrivaled fit. And for exceptional support and padding, the sock features Stance's Advanced Cushion Support System, which places a denser weave in strategic areas of the sock. Forget the exams--just slip on Stance's Degree.